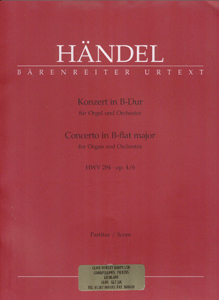 Barenreiter Edition. This is the full score (for organ and orchestra) of the edition set for the Associated Board Grade 8 Exam for Pedal Harp. View the harp part only of the same edition.